Below you will find a very painstakingly and carefully compiled list of the top 10 things you need to know to be successful with a fiance visa application process. As a licensed and fully insured immigration office with almost 25 years of experience in filing hundreds of successful Fiance or K-1 visas, we assure you that this informative post was written with a sincere intention to help you attempt filing on your own. While there is nothing wrong with self-filing, it would be irresponsible for us not to point out the risks related to self filing. The simplest of mistakes with an application can result in disastrous delays that can prolong your Fiance Visa application by several years. Even worse, your case can be denied altogether. Top Ten Things you should know about the fiancé visa process. Bonus Tips: Read our Top 10 reasons why Fiance Visas are denied, at the end of this post! Please understand that this article is general in nature and does not substitute for legal advice on your particular case. 1. You are required to be a United States Citizen. You, as the one filing the petition with USCIS , must be a US Citizen. A person who is only a green card holder only cannot successfully file a Fiancé Visa Petition. Therefore, if you only have a green card and you are eligible to apply for Citizenship you should seriously consider applying to become a U.S. Citizen. You will prove that you are a U.S. Citizen by supplying USCIS a copy of your U.S. birth certificate (this is the preferred method). 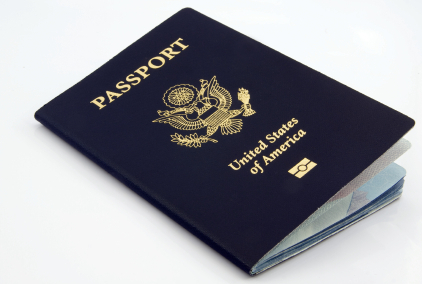 If this is not available you may supply a copy of your U.S. Passport of your Certificate of Naturalization. 2. You must intend to marry each other. You must be able to show USCIS that you and your fiancé intend to marry each other. If this is not your intent then this is not the right type of non-immigrant visa to use. USCIS will require both you and your fiance to sign affidavits under oath. These affidavits will state that you intend to marry each other within 90 days of your fiancé entering the United States. In addition, you will also be explaining how you met each other and how your relationship has developed over the time you have known each other. You will also need to prove that you have a bona fide fiancé relationship with each other. (This is generally shown through email correspondence, evidence of gifts, receipts and photos of the engagement ring(s), evidence of trips you have taken together, affidavits from family members and friends etc. In addition, you can help prove the bona fides of your relationship by showing Facebook posts from friends and family congratulating you on your engagement. (Yes, USCIS does know how to use Facebook and they do use it, and other social media sites and other sites (think Google, Twitter, LinkedIn etc.) at times, when investigating cases.) Therefore, as an aside, be very careful about what you post on Facebook and other social media sites. USCIS can use these sites to help make a determination in your case (without you being aware that they are doing this). USCIS believes that these sites give it an excellent vantage point to observe your marital relationship. You must also show USCIS that you are treating your engagement like a typical engagement in your fiancée’s home country. If, for example, in your fiancée’s home country it is typical to have a formal engagement party then you should have one. You need to make sure you comply with the cultural customs of your fiancée’s home country. If this is not done then your case can be denied at the fiancé visa interview level. 3. Meeting Requirement. You must have met your fiancée face to face (not via Skype or over the computer) and also in person within the last two years. If you were childhood friends but have not seen each other in the past 2 years then you will not meet this requirement. In certain instances waivers to this requirement may be available. However, these are not easy to obtain. For example, you may be able to get a waiver to this face-to- face requirement based on medical or religious reasons. Not being able to afford to visit your fiancé in person is generally not an acceptable reason for a waiver to this requirement to be granted by USCIS. You can prove to USCIS that you have met in person by showing: date stamped photos of the two of you together; photocopies of dated plane tickets, restaurant receipts, hotel receipts; passport pages showing entry stamps to the foreign country where the 2 of you met; and signed affidavits by family and friends attesting, under oath, that you have met each other. Have an immigration attorney review your evidence to make sure it will be strong enough for you to obtain your fiancé visa. If your evidence is not strong enough it can and should be made stronger prior to filing the case. It is much better to wait an extra 30 days, obtain more evidence and file a much stronger case then it is to file a weaker case early. 4. The U.S. Citizen will have to show that he has sufficient income to support his fiance when she arrives in the United States. The poverty guidelines are put out by the federal government and they change every year. It is a rare case when our office cannot figure out a way for you to meet this requirement. Simply call us, free of charge about this issue. We are very likely able to help you in this area. The income requirement is not very high and it varies based on the size of your household. Your income must be at least 100% of the federal poverty line for your new household size. For example: In 2013 your income will need to be $15,510 or higher, at the fiancé visa stage, if your new family size will consist of only you and your fiancé. (At the fiancé visa stage your income will need to be at least 100% of the federal poverty line. However, after you marry your fiancé and apply for the green card in the United States, your income will need to be at least 125% of the federal poverty line for your new household size.) You can check the federal poverty guidelines for your new household size to determine the amount of income you need in order to meet the income requirement. If you are unable to meet the income requirement you may get a co-sponsor to help you. Usually co-sponsors consist of close relatives and very good friends. At the fiancé visa stage you will be filing Form I-134. You will also supply: a bank letter (showing the amount you have on deposit with the bank, the date the account was opened and the total amount that was deposited in the past year); an employer letter on company letterhead which states that you currently work there, how long you have worked there, how much you make, what your job is, and whether the job is temporary or permanent); statements from your investment accounts and your last 3 years worth of federal tax returns. 5. Previous Fiance Visa Cases Can be a Problem. You must not have filed more than two fiancée visas in the past nor had an approved fiancée petition in the last two years. Once again, a waiver is available but there is no guarantee that it will be granted. USCIS will notify the person receiving the fiancé visa if the U.S. Citizen fiancé has had 2 previous fiancé visas or marriage visas approved in the past 10 years. If this is your case then you should notify your fiancé of your prior petitions. She needs to be completely aware of your past attempts to bring other fiancés or spouses into the United States. If she is not aware of these past petitions and learns of them at the interview the case can be denied. 7. You cannot have been convicted of certain crimes. USCIS will be looking at the criminal background of the US citizen. The US Citizen must not have been convicted of a variety of crimes such as domestic violence, sexual abuse, child abuse, dating violence, stalking, controlled substance violations and homicide. Just to be safe, if you have had any crime in your past then an immigration attorney should review the matter prior to you filing your fiance visa case. It is better to take the time in the beginning to clear up any criminal issues then to have them come up during the case. You should never lie to USCIS and you should expect them to know about your criminal history. Also, your fiancé should be told about your criminal past. It will really hurt your case if, at the interview, your fiancé has no idea that you were convicted of the crime in question. It will really make your relationship seem less bona fide and can lead to your case being denied. 8. There is a 90 day Rule Concerning Marriage. Within 90 days of your fiancé entering the United States you will need to get married. Your fiancée will only be able to marry you. She or he will not be able to marry someone else on the fiancé visa if someone else comes along. If she enters the United States on a fiancée visa and does not marry you within 90 days then she will need to return to her home country. Do not put the marriage off. Marry her within the 90 day period so your fiancé remains in legal status. If you did not get married within the 90 day period then you should consult with a fiance visa attorney immediately. Once you get married you can then file for adjustment of status so that she may get her green card. At the same time she can apply for work authorization. At the present time it takes approximately 90 days to receive the work authorization card. Therefore, if you are sure you are going to get married don’t wait until the last minute. Get married and start the green card process so that you can obtain the work authorization card sooner. 9. Your fiancé will also have other requirements with USCIS . Your fiancé cannot be any of the following: a person who is likely to go on welfare; a person with a communicable disease, or a person with a dangerous physical or mental disorder. He or she cannot have committed very serious criminal acts (including prostitution or drug trafficking). These are things you likely want to know before you get married. 10. Past Immigration Violations. Your fiancée must not have violated U.S. immigration laws. He or she cannot have used fraud or any other illegal means to enter US in the past. He or she cannot have used fraud or other illegal means to enter the United States. In addition past immigration violations by the non citizen fiancé can put the K1 fiancé visa process in jeopardy. These would include: violating student visa rules; entering the U.S. without a visa; overstaying a visa; working in the United States without work authorization. You can have our firm review the Immigration history of your fiancé to make sure there will not be any issues in your fiancé visa case. It is much better to deal with these issues prior to filing the fiancé visa. (Bonus thing you should know: In early 2019 only about 50% of the fiance visa cases being filed are making it all the way through the fiance visa process. This means that you could file your case, get initial approval, wait 8 months for your fiance visa to be approved, and then be disappointed. Thankfully, all of our fiance visa cases have been approved in 2018 and 2019.) If you would like more information about the approval rates in 2018 and 2019 please read our blog article on that subject. IF you can overcome these TOP 10 issues/challenges then a fiancée visa (K1 visa) can be approved. How did you do with the top 10 checklist to successfully file a fiance visa? If you are not sure, not confident or need clarifications or advice, give us a call for a FREE consultation. Call us at 888-801-6558. We handle cases throughout the United States and the World. Wouldn’t it be less Expensive to work with an immigration consultant on my Fiance Visa Case? Almost every week our office gets phone calls from potential clients who would like to work with us to fix a previously filed Immigration case which was prepared by a paralegal/immigration consultant/ or notario. Most times we can help the potential client file a new case and the client is only out lost time with their loved one (although this could be a year or more of lost time) . Sadly, on occasion, we cannot help the potential client undue the damage done to their case by these non-lawyers. In addition, many times these firms are under no regulation and you will have no remedy should your case fail or you have irreparable damage to your future. Also, keep in mind that you will need to turn over very sensitive information to whoever helps you with your case. This includes your social security number, date of birth, tax returns, bank statements etc. Do you really want to turn this information over to a person who is possibly unregulated, uninsured and/or unlicensed? Please also remember that the consultations we have are covered by the attorney-client privilege. For example, the discussions you have with independent notarios, immigration consultants etc. are not covered by the attorney-client privilege. When you work with our office only attorneys have access to your very personal information. We are licensed by the State Bar of California and we are fully insured. In addition, our fees are not a lot higher than the non-lawyer alternatives. We also offer affordable monthly payments. Please contact us either by email (attorneygruner@gmail.com) or via phone or the chat option. We will be happy to talk to you, free of charge, about your options. Bonus Tips: Top 10 Reasons Why Fiance Visas Are Denied. Here are the Top 10 Reasons a Fiance Visa Case will be denied. Your fiancé has violated the terms of his or her U.S. visa in the past. Overstaying a visa by more than 180 days for example can cause your fiancé to not be able to obtain a fiancé visa for 3 years. Not being able to financially support your spouse. You must show the U.S. government that you make 100% of the federal poverty level for this type of case. This is because you will be paying the U.S. government back in case your fiancé gets government benefits. If you do not make this amount of money you may be able to obtain a co-sponsor to help you but this is not true in every case. Certain embassies do not allow you to use a co-sponsor in a fiance visa case. If your finances are shaky you should definitely talk to an attorney prior to filing. Either you or your fiancé having past criminal issues. Any past criminal matter should be evaluated by an Attorney, prior to filing, to make sure it will not cause the case to be denied. One of you is not free to marry. A case will be denied if it is filed early before you are legally divorced. Prior to filing you should make absolutely sure that all previous marriages, for both parties, are completely terminated. It has been more than 2 years since you last saw your fiancé in person. Seeing someone on skype does not count as an in person meeting. Keep receipts, plane tickets and other evidence of any in-person meetings you have with your fiancé. Your Fiance has a medical condition which could threaten public safety or is mentally ill or has a drug or alcohol problem. The Immigration Officer has reason to believe that the relationship is not real. This may include a large age difference, limited visits between the parties, not speaking a same language or there being a short amount of time from the time of meeting to the time of applying for the fiancé visa. Bonus tip: another reason fiance visa cases are denied is due to non-compliance with the International Marriage Broker Regulation Act (IMBRA). This act was enacted in 2005 but was really not enforced by USCIS until fairly recently. You must comply with this act or your case will be denied. Please see the attached information about the IMBRA if you are pursuing a fiance visa case. If you met your fiance via a dating website you will need to make sure that the site is not considered an “international marriage broker” as defined by the IMBRA. If the site is an international marriage broker it will need to provide background information concerning the U.S. Citizen to the foreign fiance pursuant to the IMBRA. If you met your fiance on any sort of dating website please consult with an immigration attorney prior to filing your case. Your fiancé has a bad interview. Long story short your fiancé should know a lot about you in order to have a good interview. It may be embarrassing to you but tell her all about yourself, your past relationships and any criminal history. This way she will have a better chance of success. 2. The petition is received by USCIS and a Notice of Action (NOA 1) is sent to you. 3. USCIS evaluates the case and , if all goes well, an approval notice (NOA 2) is sent to you. Currently this is taking between 5 and 7 months. However, this amount of time can change. This wait had been quite a bit shorter prior to this year. 6. The Embassy will contact you with instructions on the case. 8. Fiance Visa Interview at Embassy. We will prepare you for this interview. Here are some sample fiance visa questions to review. 9. Fiance Visa Granted. Congratulations! You should receive the actual fiance visa within one week of the interview. 10. Once you come to the United States you will have 90 days to get married to the U.S. Citizen. After marriage you should apply for your green card via the adjustment of status process. We are blessed to live in such a wonderful country as the United States. If you would like to help someone who is not as fortunate please consider helping someone through World Vision or another charity. Blessings to you and your family.